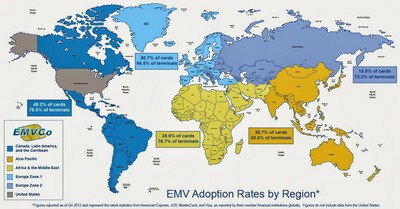 I am seeing more and more mom and pop places sprout with EMV almost overnight now, NFC too. Most of these owners didn't even have any idea what EMV was, but they are learning because business owners are customers too! The owner of a local pizza joint here learned about EMV when he went shopping and it asked him to insert his card. He now has an EMV AND NFC terminal at his store. It's sad that other stores are pretty much training these owners- not their own merchant service companies. Travelex is apparently rolling out a new EMV-capable debit card called "Supercard" in the UK; maybe something similar is planned for these shores, especially since Americans headed beyond the US would probably find it more useful than the average Brit would. By Travelex's usual standards, it seems relatively non-scammy, although how much of that is due to UK regulations as opposed to Travelex being newly enlightened. The image looks pretty similar to the CTA Ventra card, except the Supercard has a EMV chip while Ventras (or at least the ones I've seen) don't. But it doesn't seem to have contactless, which seems like an odd omission. I saw an interesting little sign in a local Bagel shop today. It said "EMV/CHIP cards accepted here" and had a picture of a card (branding not specified) with the chip. I asked the owner and he said that his previous machine broke at the end of last year and so he bought a new machine which included a separate PIN pad plus a contactless interface. So, one more way to spread the word. I don't have a PIN priority card (let's get going FirstTech) so I couldn't do the Walmart test. What kind of terminal was it? I saw my first Ingenico customer facing PIN pad on a standalone terminal. I saw plenty of Ingenico ISC250s and the like but never one attached to a standalone terminal. Any company branding on that sign or was it a handwritten one? I finally got a phone # within First Tech of someone who is very knowledgeable about First Tech's upcoming transition from Visa to MC. 1. The VISA chip card currently being issued is chip & SIGNATURE ONLY, as evidenced by the CVM list. 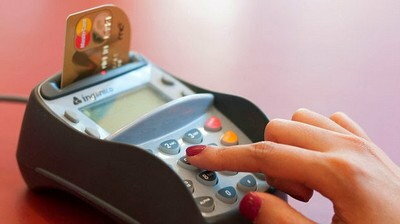 The "purchase with cashback" CVM is not allowed on a credit card by US and most other credit card processors. 3. There is indeed an economic benefit to banks to choose signature priority (higher swipe fees). This is a big dirty industry secret that needs MUCH more public outrage to hopefully put pressure to move to pin priority sooner. First Tech is more concerned about providing the extra security that pin provides, and is hoping that the reduction in fraud costs will offset the reduced fees. 4. My impression is that First Tech is also placing more value on the costs to customers of hassle and time due to fraud despite those customer issues not being direct bank costs. 5. 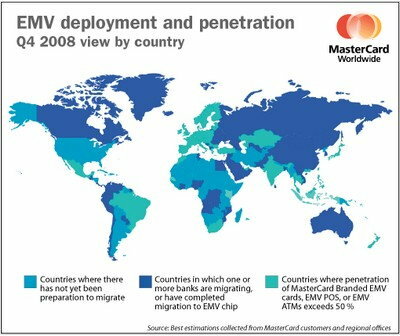 First Tech moved from Visa to MC because Visa strongly promotes and prefers signature priority and MC is much more focused on the security benefits of pin vs signature. 6. 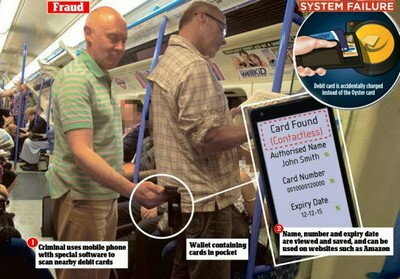 Although "chip and pin" is being promoted by many banks, and the cards do technically have pin support, since (for banks with signature priority) the pin will NEVER be requested except when using the scarce unmanned terminals, this promotion, measured by actual percentage of pins vs signature requests, is nothing short of one of the biggest advertising misinformation campaigns of recent history by those signature priority banks. Thus, First Tech appears to really only offers chip and signature Visa cards with only cash advance pin until the MCs become available about June. 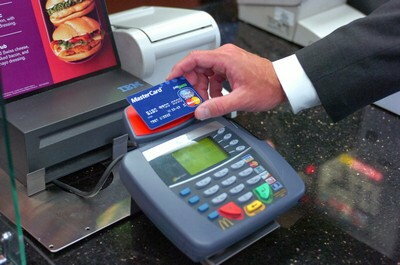 At least they are actually committed to offering true chip and pin priority (online only) MC cards at that time. Is MC preventing them from adding offline PIN or is there some sort of technical limitation at the institution preventing it? As far as I know the processor thing isn't really something within First Tech's control (and no terminal in the US will go offline anyway unless there's some sort of network problem). I wish you had been able to confirm that the MC debit cards will be PIN-preferring for purchases as well (later this year), though I infer from their press release that such is First Tech's intention. Not sure how much of the VISA resistance is swipe fees vs. general laziness. I was told that First Tech's processor handles virtually all online business and thus there was little incentive for that processor to add offline support. I speculate that it could simply be a matter of implementation cost that has too small a customer base to amortize it over. Most folks have no clue of the millions of dollars it can take to have things "just work". And yes, the processor does not appear to be within First Tech's control, making it that much harder to promote offline if the processor doesn't see it as a viable added service. And yes, the international arena is the main benefactor of offline processing. I was focused on the credit card side to put that to bed. I'll check tomorrow about the debit purchase pin priority. I too bet (HOPE) that it will also be pin priority. Great post and I think we have figured out here (as we have a very smart group) most of what you said. Feel free to correct me if I'm wrong but the implication is that, at least for the time being, the processors in the USA see no value in offline pin, presumably given tbe low cost of communications in the USA (which btw from what we've read is the prime reason that European processors went to offline pins in the first place not for security purposes but because of the much higher costs of communications and the fact that before the advent of the eu, there were many more cross border transactions than in North America). That being the case, it seems to me if, and yes it's a big if, visa succeeds in outlawing the practice of unpersonneled kiosks in outright rejecting non pin transactions, the whole thing will become pretty much moot anyway. 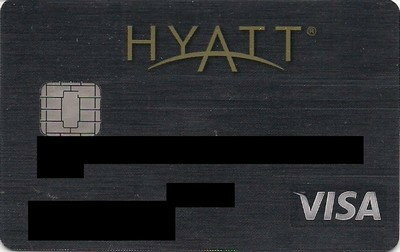 Even the cards with back up pins, such as Arrival+, Andrews and the rest of the DC area FCU's will hardly ever use the pin. The whole we want offline pin will become a non issue. A couple of other thoughts. Interesting to note that UNFCU we have pretty much agreed has offline pin as a priority; at least I think it's offline pin. They issue visa cards so apparently visa can process offline pin. 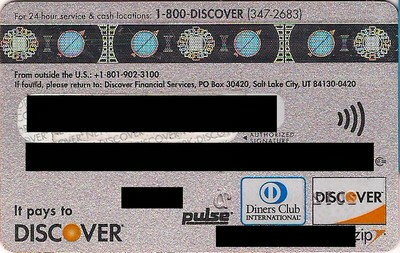 Also, when USAA first issued emv commpliant cards, they were mastercards and the original cards I believe were offline pin; at least I was definitely able to use those cards at pos terminals in the UK and was asked to enter a pin and I think it was offline pin until they pulled the garbage of backtracking to signature preferred but their literature continues to make whether one is asked for a pin or a signature as a function of the merchant, not their ordering of priorities. And it's interesting to note that as of the last time I checked, USAA was only offering emv complant cards as mastercards, not visa cards.